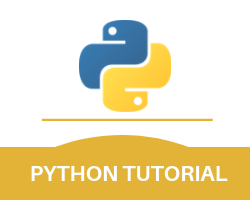 This is the Python for loop module of the entire tutorial. And as we have mentioned before in this Python tutorial that if you wish to iterate over a sequence then the for loop is used. The sequence can be a list, a dictionary, a tuple, a string, or a set. Just like many other programming languages that are object-oriented similarly this loop works more like an iterator than the way the for keyword functions in many other languages. It is important for you to remember that you do not need to set an indexing variable before a for loop. This is a rather important Python for loop step that you need to remember. If you wish to loop through a set of different codes a specified number of times then it is suggested that you should use the range () function. It is also important for you to remember that the range () function helps in returning a sequence of number, it starts from 0 by default, and there is also an increment of 1 that happens by default. This sequence also ends at a specified number. It is important for you to remember that here the range (6) is not a sequence of 0 to 6 but instead it is from 0 to 5. This is one of the most important things that you should be aware of in this loop for Python module. Python is a programming language that also accepts a number of different function recursion. This basically means that in this programming language a defined function will be able to call itself. It is important for you to know the recursion is a quite common mathematical and programming concept. This function basically means that it can call itself. This presents the developers or the users with the benefit of easily looping through a data to reach to a specific result. This is one of the most important concepts that you must be aware of in this Python for loop tutorial. However, it is important for every developer to be quite careful while using recursion as it becomes quite easy to slip into a kind of function that never actually terminates or a kind of function that just uses a lot of processor or memory power. But if you do end up writing recursion correctly then this Python for loop step can be a very efficient and an elegant approach to the entire concept of programming. To understand this concept better you should look at the below-mentioned example. In this above-mentioned python for loop example, the tri_recursion is a type of function that we have used and defines it in such a way that it calls itself (“recurse”). We have also used a variable and that variable is k. This variable gets a decrements of -1 whenever we recurse. The recursion eventually ends in the example whenever the condition is zero or not greater than zero. If you are a new developer then it is important for you to remember that it is okay to be a little confused about this but you should continue practicing as much as you can so that you are able to learn more about all these features in a better way. With this, we finish the Python for loop part of our Python tutorial.